Warfare is a very serious business whose first imperative is to deploy force to win – rather than topunish, make a statement, establish a symbolic point, or preen about one’s morality. 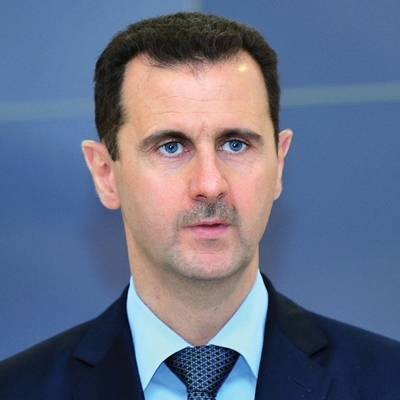 Bashar al-Assad, strongman of Syria. Yet, these latter are precisely what several Western states will accomplish if they respond to the Syrian government’s apparent use of chemical weapons against civilians with “limited” strikeslasting one or two days against fewer than fifty sites. Briefly lobbing American, British, and other missiles against the regime without a concomitant readiness todeploy ground troops will neither overthrow the government nor change the course of the war. It will, however, allow Westerners to feel good about themselves.It will also entail real dangers. Bashar al-Assad’s notorious incompetence means his response cannot be anticipated. Western strikes could, among other possibilities, inadvertently lead to increased regime attacks on civilians, violence against Israel, an activation of sleeper cells in Western countries, or heightened dependence on Tehran. Surviving the strikes also permits Assad to boast that he defeated the United States.